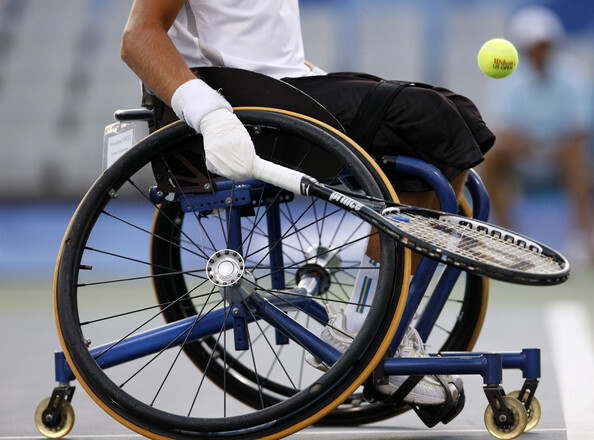 Kenya will return to the International Tennis Federation (ITF) BNP Paribas Wheelchair World Team Cup after the women team beat Tanzania on Sunday. The women's national team booked their ticket to this year’s event in Sardinia, Italy after registering a 2-0 win over their East Africa neighbors in a final played at the Nairobi Club. It will be Kenya’s first appearance at the global event after two years absence. Phoebe Masika and Jane Ndenga gave Kenya the ticket win victories in their respective matches. Masika began the host’s campaign on a positive note with a straight sets win over Tanzania’s Lucy Shirima to see Kenya set one foot into the world event before Ndenga sealed the ticket win over Rehema Selemani. She was undoubtedly the better player as she dominated Shirima taking the first set 6-2. Masika gave Kenya an upper hand after sealing the second set 6-3. Ndenga earned Kenya women a team slot in the World Team Cup with a 6-4, 7-5 hard fought win over Selemani. "I'm really happy and delighted to qualify for the World Cup," said Ndenga who qualified for the finals after beating compatriot Rael Akoth Alar 6-2, 6-3 in the women’s semi-final. "You're not going to play your best tennis all the time and I'm pleased with how I got the job done. It has given me lots of confidence going into the global event." She added: "It's always nice to win at home and I'm delighted to have done it in front of my fans." It was however not a good ending for the men’s team who went down1-0 to Tanzania. Despite Collins Omondi securing Kenya a 1-0 lead following his 6-2, 7-5 win over Hamisi Juma in the opening singles match Kenya crumbled losing the second singles and the doubles encounters. Temba revived Tanzania’s hopes of earning the continents sole ticket to Italy after comfortably dismissing Kenya’s Peter Munuve 6-0, 6-2 in the second singles match. It is held annually with a different nation hosting each year. This year's BNP Paribas World Team Cup will be hosted across two venues, Baia di Conte and Alghero Tennis Club, both in Sardinia, Italy, on 1-7 May 2017.